Sometimes it's worth getting up early. One of the most regular questions I get asked is about image editing and developing software. A bewildering array of advice exists, often too complex to understand and equally confusing app options are available. 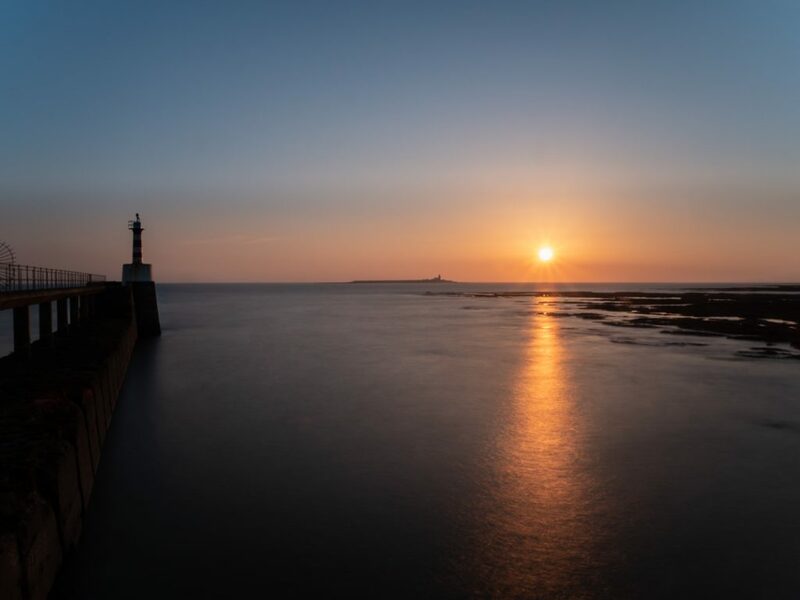 This blog post is a personal point of view and a brief introduction to the common choices that people make when they are starting out in photography or taking their first leap into processing their own images. A small introduction to software most folk use. There are many programmes to choose between. Some expensive and aimed solely at professionals. Others are cheap or even free. Plenty more sit between. I can’t cover the whole range of available products, but if interested, I’ll happily answer questions about them or other software in the comments below. Not all software is equal. Some do tasks that others cannot. Some run smoothly and others don’t. Before plunging in and spending money on software do your research and take the free trials. Why not let your camera to do the work? What happens when you take a photo and create a jpeg image file in your camera? You shoot a scene and light hits your camera’s sensor. The sensor converts light into a digital electronic signal. Then, the signal travels to a processor. The processor changes the signal into a jpeg image file which is stored on the memory card. Mr N’s programming develops your picture. A few of his development settings that exist on your camera, all selected at the press of a button: Vivid, Natural, Portrait, Monochrome and so on. Mr N. may have also created Art Filters. There is nothing wrong with that. It is a simple and quick way to work and they look great. The in-camera development process compresses the digital file, making a JPEG. Compression discards a lot of data which is not needed for that final result. An alternative way of developing an image exists. That alternative is creating a raw file. Often called ‘shooting raw’, the camera sends the all ‘raw’ data from the sensor to the memory card. You can now use that data to develop the photo yourself. With raw, you will still see the Nakamura developments in your camera, but they disappear when you import them onto your computer; unless you use the camera manufacturer’s own imaging software. (More about that later.) With raw, no file compression means no data is lost. Consequently, a far wider scope for developing the image is possible using that extra data. Possibly most importantly, recovering details from the darkest and brightest areas of the photo becomes possible. Same morning as the first image, a few minutes later and the light changed completely. This is a raw development. I recreated the scene as I remembered it. Developing a photo is applying adjustments to brightness, contrast, saturation and so on. In this way you can make photograph look how you remembered it. 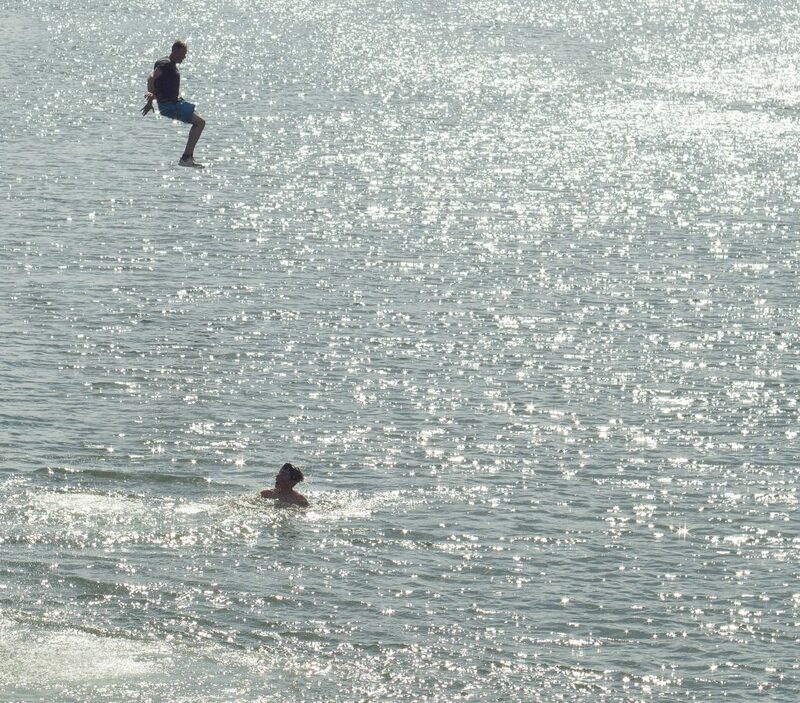 Mr Nakamura, skilled though he is, doesn’t necessarily reproduce the world in the way you want it to appear in your picture. If you shoot solely jpegs and reproduce images straight out of the camera (SOOC), trusting Mr Nakamura’s skills, then you probably don’t need development software. If you shoot raw, then it it is almost certain that you will want to develop your own pictures to make them look the way you envisaged. You then do need development software. You’ve just taken a picture you are proud of. When you get it onto your computer you notice that the subject has a hair running across her face, a lamppost growing out of her head and a crisp packet on the floor in front of her. That’s okay, your software will allow you to remove it. That is editing a photo. I consider this to be different from developing a picture. Of course, some overlaps exist between editing and developing an image. Many photo development programmes have spot removal tools for taking away sensor dust or stray hairs while editing tools let you apply development settings. Advanced programmes combine both of these functions into one application. There is a lot of tosh written about developing and editing an image. Should you or shouldn’t you? Some extremists insist on SOOC while others edit with impunity. In most cases it doesn’t matter at all. Developing and editing are skills almost as old as photography. We are creating art, a representation of the world both as we perceive it and want to show it. Unless we are shooting reportage or journalism, where we are trying to create as close an approximation to reality as we can, then there is no reason why we should not improve the image’s aesthetic qualities. Of course, we should always try to get as much as possible right in camera; there is no excuse for shooting lamppost heads. Honesty about editing is always the best approach. The more skilled you become at photography, getting it right first time in the camera, the less work you will need to do on the computer. Learn to take great photos before you learn to edit them. Some development programmes feature catalogues or libraries. You can add comments, ratings, flags, tags to your photos and you can search and filter images according to those. Catalogues are powerful tools and a very different way of operating from using a straight browser. Below are very short descriptions of popular software available. I include some of my opinion and this is subjective; others will disagree with me. There are plenty of in-depth reviews of these programmes and it’s worth doing your research before deciding what you will choose. Lightroom and Photoshop AKA the Adobe Photography Plan. I’ve started here because Photoshop, couples with Lightroom, is probably the best known and most ubiquitous of the software on the market. Being popular doesn’t necessarily make them right for everyone. Photoshop screenshot with lamppost hands! Like a lot of other software, there is a free 30-day trial. Some images are improved by simple editing. The Adobe software is great and those that use it are as dedicated to it as they are their camera brands. But, for a lot less than £120 a year there are some excellent alternatives with all the capabilities you will need. Development, Editing, Catalogue, Fractals Based Image Enlarger. 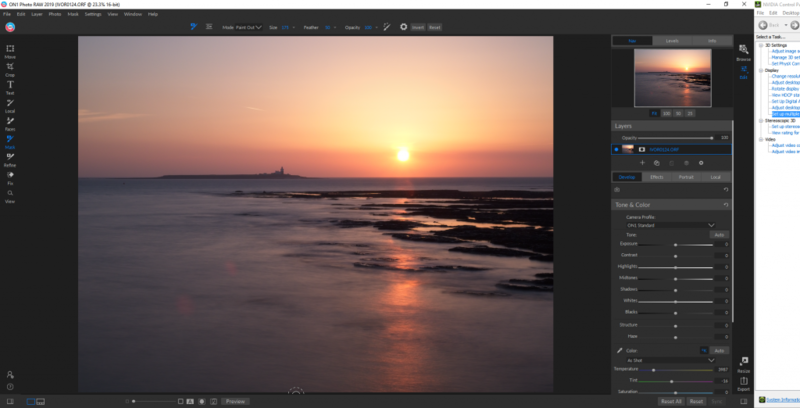 This is an excellent alternative to Lightroom and Photoshop. 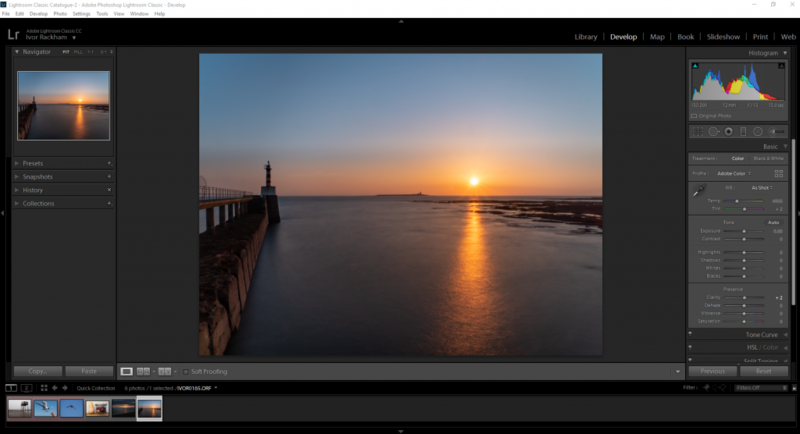 It is much faster at switching between modules than the Adobe software, has just about all the functionality a photographer needs and, personally, I like the outcomes of the raw development algorithms better than the Adobe Software, although this is a subjective view. The Browse module is a hybrid catalogue and browser. It’s super fast and, unlike Lightroom, it can view files not yet been imported into the catalogue structure. 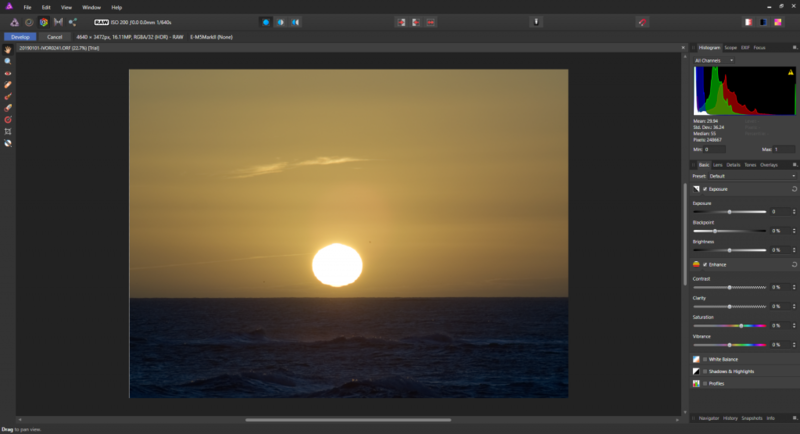 With all the development and editing tools you’ll ever need, besides raw development, On1 Photo Raw also includes a panorama stitching tool, HDR and focus stacking. It also has a huge umber of adjustable presets, which are a superb place to start your developing and editing. In the editor, the Perfect Brush for local adjustments (changes to part of an image) is far more accurate than the equivalent automask in Lightroom. All adjustments are added in layers and so are non-destructive. Any adjustments you are likely ever to want to apply to a photo are there. Of special note is the ‘dynamic contrast’ setting. It really makes an image pop. On1 has a particular plug-in especially for enhancing portraits. It brightens eyes, whitens teeth, smooths skin and removes blemishes but very subtly. Your model won’t end up looking like they are made from plastic. On1 Photo Raw also includes the industry standard image resizing tool, once known as Genuine Fractals – Perfect Resize. It allows you to enlarge images without loss of resolution. Much cheaper than Adobe, you buy On1 Photo Raw outright, as opposed to renting it. Your first purchase is around £76 and if you decide to update it at a later date is around £62 at current US/UK exchange rates. A new version is released annually, but you may not find it necessary to update every year. It is available for a 30-day free trial. Look for the hundreds of excellent video tutorials on their site. Click here. to explore the features of On1. Serif Affinity – A close runner up? With less functionality than On1, Affinity is nevertheless a highly regarded developing and editing tool. It comes in slightly cheaper at around £50. It only has a 10 day free trial. It has a strong and growing following and a full list of features are found here. 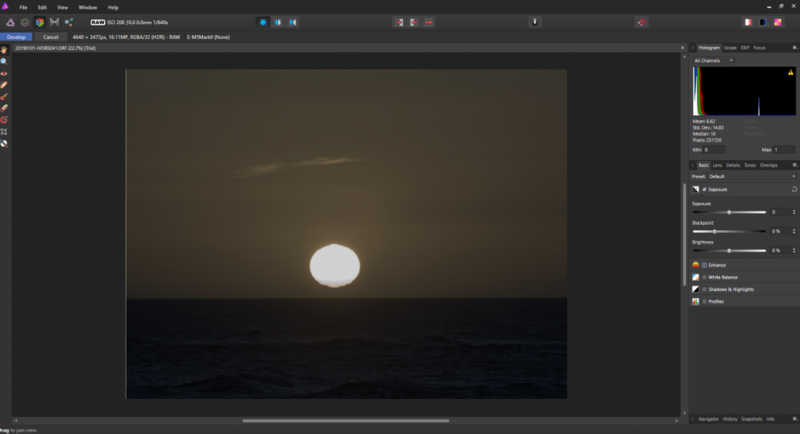 Affinity has no library module like On1 or Lightroom and that is a big miss for Windows users. I found the adjustment sliders lacked the finesse of its competitors. When I trialled the software for this blog, I immediately hit a glitch. Just touching the contrast adjustment on the above image, it suddenly lost brightness and saturation. I was unable to reproduce the fault on other images, but nevertheless, not a great advert for the product. The local adjustment brush could not find edges as accurately as Lightroom, and certainly nowhere near as good as On1. The development results were not as pleasing. It is cheaper than On1 by around £26 and they promise future updates will be free. This is attractive for the consumer but whether this business model will work in the long term is another thing. Other software options include Adobe Photoshop Elements. Which runs smoothly and is a hugely cut-down version of Photoshop. It includes the very basics of the Adobe Camera Raw development tool that comes ith Photoshop and a rudimentary catalogue called Organiser. Although simple and smooth to use it is pricey for what you get. For those who want to automate their editing, it’s a great tool. But at £86, you get a lot more for your money with On1. Corel Paintshop Pro, with a similar range of tools as Photoshop Elements, is priced slightly cheaper at around £50. 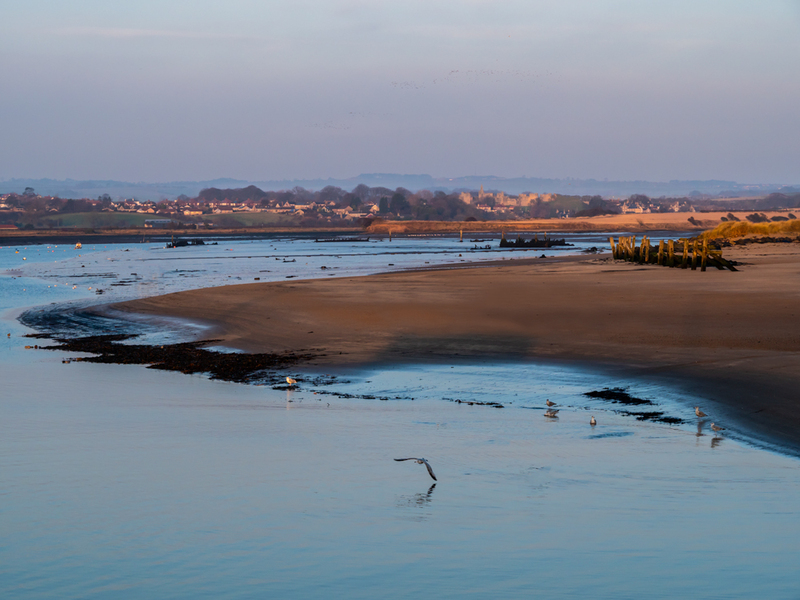 The included raw development tool is very basic, far more so than Photoshop Elements. You can buy an additional raw development plug-in but the editor has more features than its Adobe competitor, although without the wide ranging automated edits aimed at the beginner. Plenty of free and open source programmes are out there. 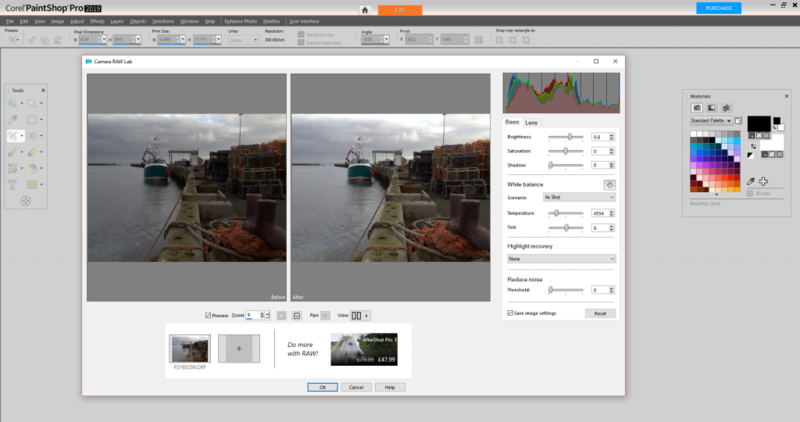 For raw development, worth a mention is Lightzone which is an attempt to emulate Lightroom. A fairly comprehensive list of other free raw development tools is found here on Wikipedia. UFRaw and RawTherapee are worth a mention as they work hand in hand with Gimp. 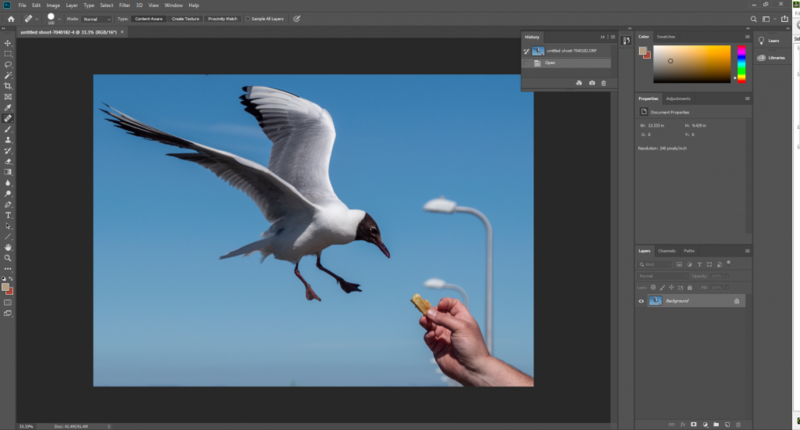 With much in common with early versions of Photoshop, lots of photographers, including me, cut their teeth on photo editing using Gimp It’s a powerful tool but not intuitive to use. Many free tools seem clunky. 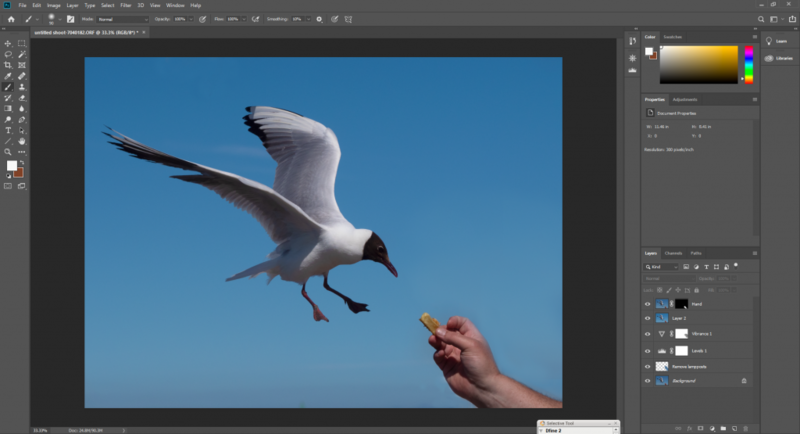 However, the free Paint.net has the look, feel and much of the functionality of the Photoshop Elements editor and is worth a look for those on a restricted budget. If you are considering Elements or Paintshop Pro just for editing, consider paint.net instead. Phone apps are worth a mention as so many folk shoot, develop and edit photos using their phones. A particular favourite of mine is Pixlr. Do remember the CD or download links that came with your camera. Most manufacturer’s create their own development and editing software. These work well though lack some of the features of other programmes. However, they might include extra features not available elsewhere such as tethered capture. Furthermore, using the manufacturers’ software, the raw files have Mr Nakamura’s in-camera digital adjustments and filters applied to them. You can use these as a starting point, making further adjustments to them in your computer. Many more programmes exist. They all vary in price and in what they can and cannot do. Lots of people are happy with what they have chosen and you can get great results out of any software you learn to use. Whichever route you choose, learning the software brings great benefits. My recommendation, based on performance, price, functions and results, is On1 Photo Raw. The Adobe Photography Plan comes second. Affinity would have come a close third if not for the glitch. Affinity is a more attractive proposition if you use a Mac with its own photo library. 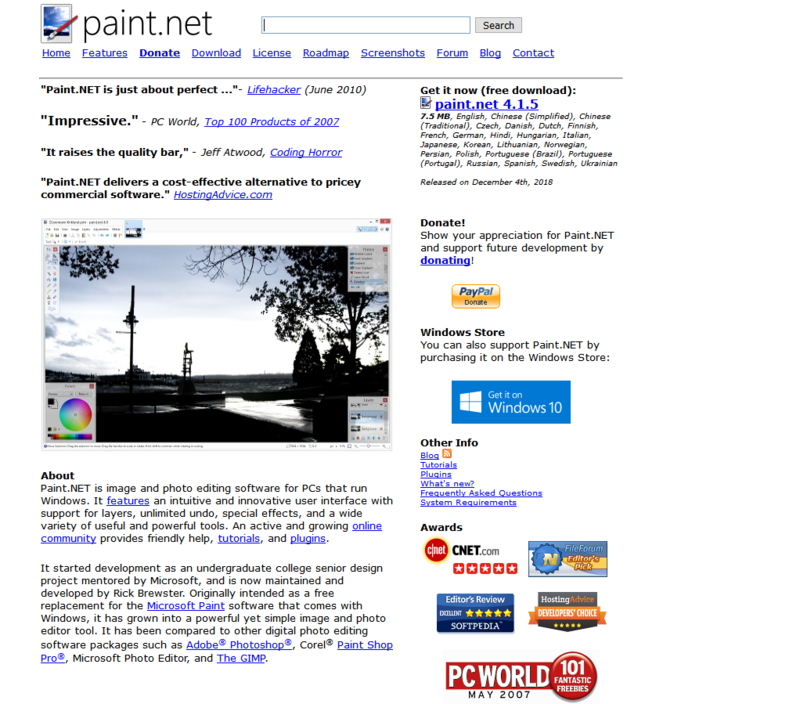 If you want free software, then Lightzone and paint.net together make an effective package. However, don’t expect them to do everything you can do in paid-for software. On your phone, try Pixlr. Once you have learnt how to use the software, you will get better results that Mr Nakamura programmed into your camera. 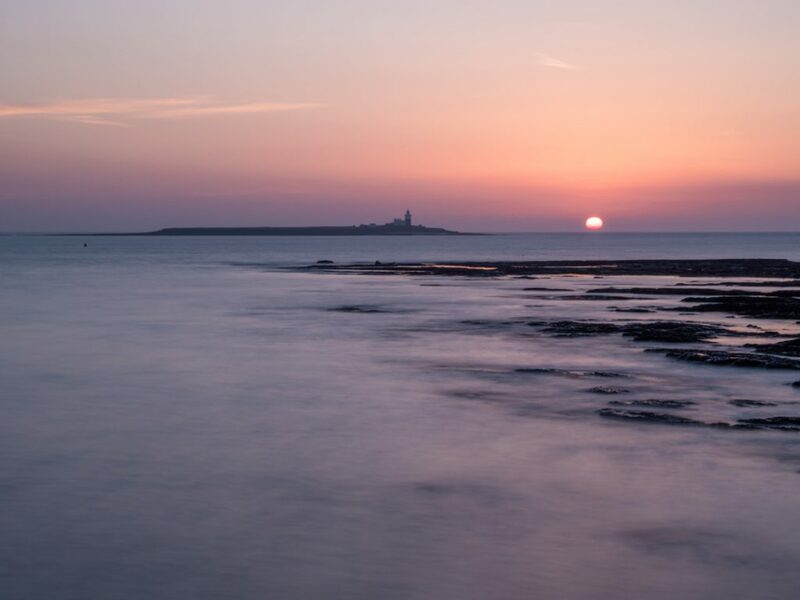 So switch your camera over to shoot raw and give developing you images a go. I am always happy to hear your comments below. If you have any questions, then please do ask. Excellent piece as always . Capture One Express is free …and excellent ! But targeted at Fuji and Sony users . Also Apple Photos bundled in with Apple machines is a very very good at cataloguing…not great for editing but allows you to ‘hand off’ the edit to other editors . Smart Albums and batch titling I’m Apple Photos is great . AP handles uncompressed raw files really very very well . I’m on the latest Mac operating system Mojave . Not sure if it is appropriate to mention alongside ‘editing ‘ but ……everything we see in our camera ..live view , histogram and in mirrorless evf is jpeg . There is no camera that exists that can display ‘raw’ ..raw is merely data . So when we look at an image in ‘playback in camera we only see the jpeg version but the raw will have much more information . In particular the histogram we see ‘in camera ‘ is a jpeg histogram the raw histogram shown in the editor will be different . .